Dating back to the 1980's, RCM Architects have completed a number of projects at the Our Lady of Consolation Basilica, to preserve, and enhance the architecture of this historic worship space. Some of these earlier projects at the Basilica include restoration of the roof, including repair of the clay tile materials. This was followed by complete replacement of the mechanical system with a combination forced air and radiant system. These activities were accomplished without violating the interior. The lighting and electrical systems were also completely replaced. 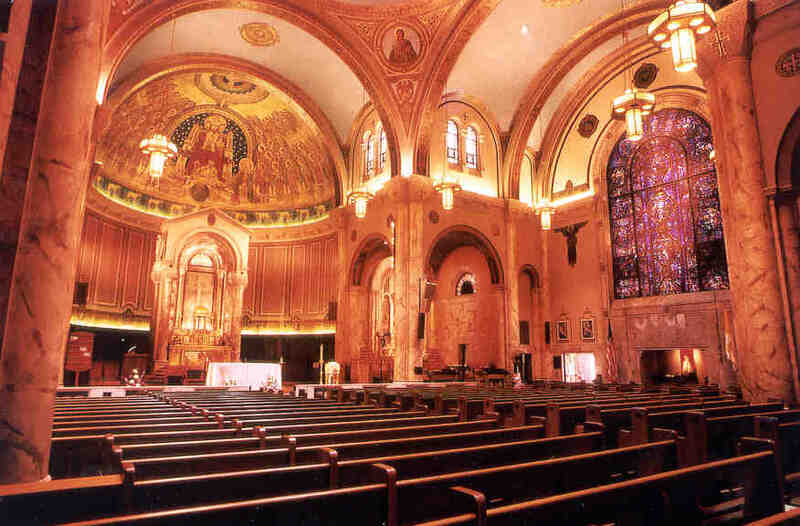 All of the interior surfaces, including the stained glass, of the Basilica were repaired, refinished or replaced to restore a grandeur that exceeded the original design. The unique nature and function of the Basilica justifies this awe-inspiring environment for worship that attracts pilgrims from near and far. As we move into 2015, RCM is now working with the parishioners on the design of an elevator, that will aid in handicapped accessibility to both the upper and lower levels within the church. This elevator addition will also provide additional restrooms and a vehicular drop-off lane for easier access to the building.